If you need to buy a gift, why not this modern and elegant brown leather necklace with a white 18 mm. 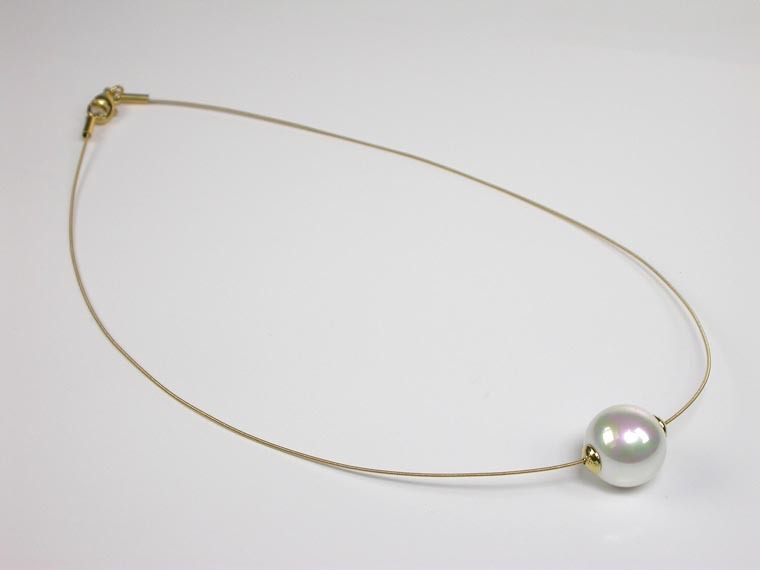 pearl in adjustable length from 41 to 45 cm. Very popular among younger women. Youthful and summery design. A perfect gift for a young woman! 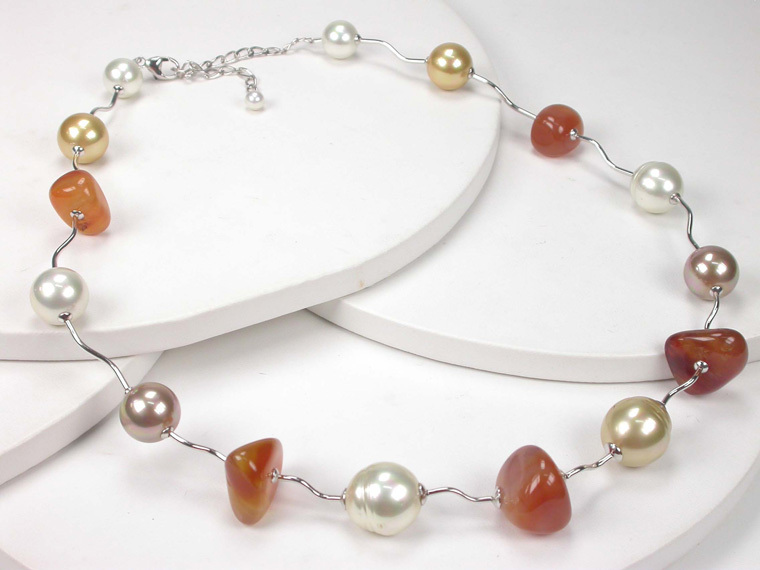 Brown leather necklace with a 16 mm pearl and Rose Quartz. 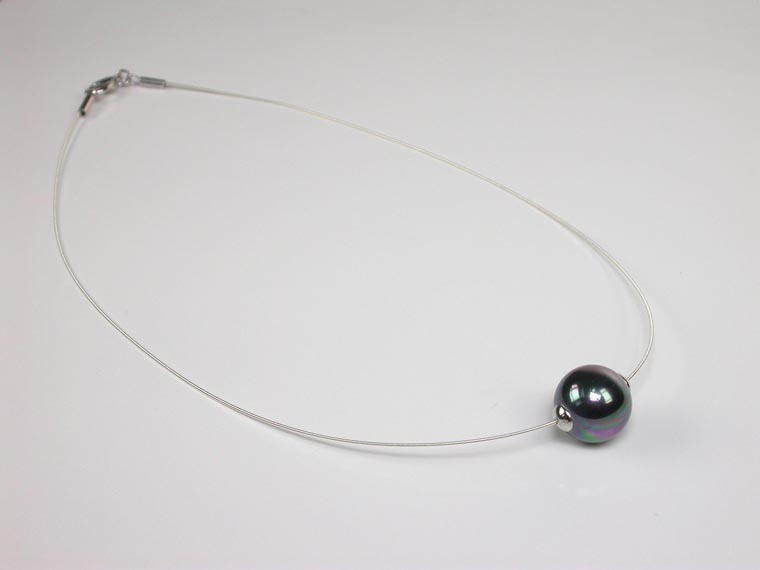 The Sterling Silver clasp is adjustable to get the perfect length from 41 to 45 cm. An original gift for a young woman! Black leather necklace with 14 and 18 mm. pearls. 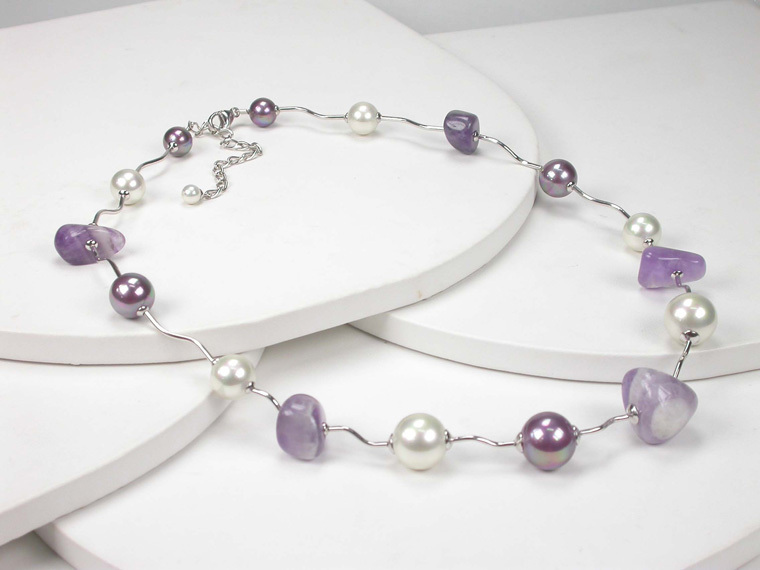 The Sterling Silver clasp is adjustable to get the desired length in between 41 and 45 cm. 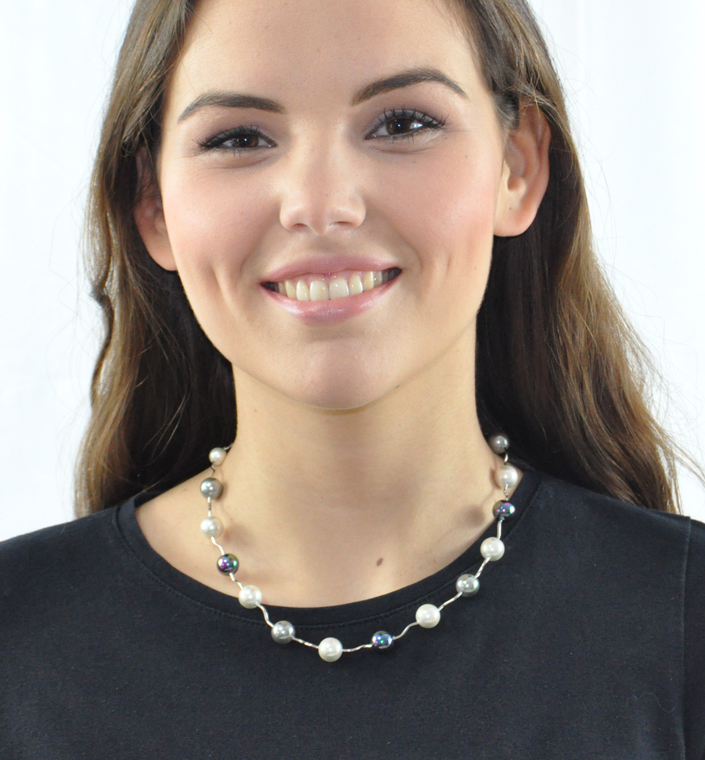 This gorgeous necklace combines delicately white, black and gray 10 mm Pearls with sterling silver tubes. The length can be adjusted from 38 to 46 cm.